Canna Rhizotonic is a powerful root stimulator that greatly improves early plant development and vitality. Rhizotonic is most commonly used when transplanting and when your plants are showing signs of stress. Because Canna Rhizotonic contains many trace elements and vitamins, like B1 and B2, it increases the plants ability resist to disease. It also enables a much faster and better than usual root growth. The results from using Rhizotonic will be very apparent, with fast, strong, clean root growth. You will notice very obvious signs that your plant is strong, healthy and happy. 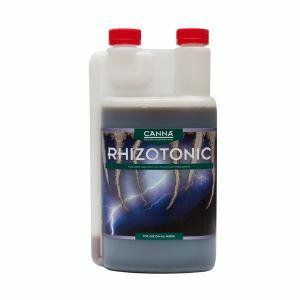 Canna rhizotonic is suitable for use in all growing techniques and growing mediums. Use Rhizotonic from the moment roots first develop.